Over the last year, the Democratic Socialist Republic of Sri Lanka, formerly Ceylon has become an international playground for China, Japan, India, Pakistan, Iran, Russia, USA, UK and EU countries. Except for two or three, all the others supported regime change and now they are competing to have their share of gain. Some are progressing well! Unfortunately, neighbouring India, accused by the former President as being a country in favour of regime change, has not received its reasonable dividend. India is not happy about the recent developments in Sri Lanka. Regarding the ethnic conflict, they took a very lenient path but that trick didn’t work with the new government. The new government prefers to deal equally with China and India. For various reasons, no government in power in Sri Lanka will exclude China. In other words, there are many reasons for Sri Lanka to be watchful of India. Even though Indian decision-makers know this well, they play a silent diplomacy. On the other hand, the USA, UK and EU countries are doing well with the new regime. Whether economically or on human rights, it is all based on politics. 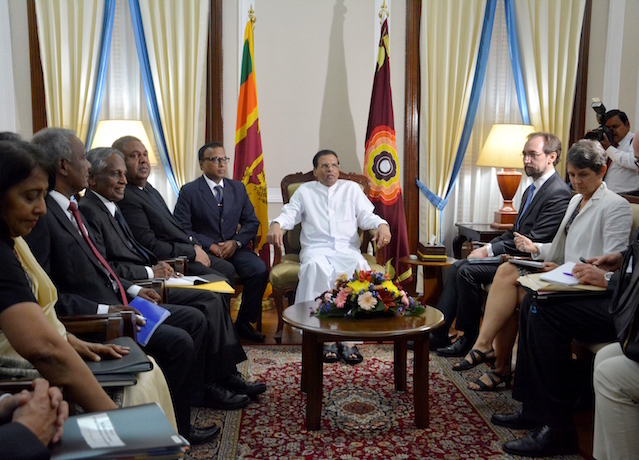 It is a question of how much Sri Lanka is willing to offer those countries. Some say India is looking for a giant share in Sri Lanka. In Sri Lanka, the ethnic conflict has existed since independence in 1948. But Tamil political grievances never reached the international community until 1983. Even though there were many Sinhala riots against the Tamils (1956, 1958, 1977, 1981 and 1983), it was only after July 1983, the international community began to be aware of the longstanding communal blood-bath in Sri Lanka. No country except Britain was aware of the failure of the Banda-Chelva pact in 1956 and the Dudly-Chelva pact in 1965. 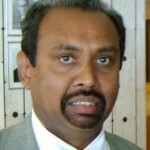 SWRD Bandaranayake (Banda) father of ex-President Chandrika Kumaratunga, who belongs to the Sri Lanka Freedom Party – SLFP was Prime Minister in 1957 and Dudley Senanayake (Dudly) of the United National Party – UNP was Prime Minister in 1965. They both signed agreements in 1956 and 1965 respectively, with then Tamil leader S.J.V. Chelvanayagam (Chelva). These agreements were based on a quasi-federal system, devolving certain powers to the North and East. Unfortunately both agreements were unilaterally abrogated by both Prime Ministers, due to opposition from political parties and Buddhist clergy in the South. Since the failure of these two agreements, many other pacts were also signed on various issues, between different leaders. Each agreement ended up in broken promises. A good example is the Indo-Lanka accord, which was signed in 1987 between India and Sri Lanka. This accord laid the foundation for the 13th amendment and led to the creation of the Provincial Councils. Now, almost three decades have passed and the full implementation of this accord is still in a dilemma. Like other agreements, the Indo-Lanka accord was also set aside by the Sri Lankan rulers. Each government invented excuses for non-implementation of the 13th amendment. According to what is reported in the local and international media, there has been no indication of any positive gestures at all either on reconciliation or on accountability. Whatever the government does presently is purely for the consumption of the international community. Sri Lanka was a co-sponsor to the resolution unanimously passed in the last 30th session of the UN Human Rights Council – UN HRC. Despite being one of the co-sponsors of this resolution, Sri Lanka has set it aside and is trying to implement something of their own. This is being done with the help of some members of civil society in the South. On accountability, the difference between the earlier regime and the present one is that the present government is being helped by some dodgy members of the civil society in the South. Do these people understand the sufferings of the victims or are they doing everything for their own glorification? We have our reservations on some civil society members in the South. With the present government, there are some people who appear to be serious about finding a political solution. Will it be a durable one? People like President Chandrika Kumaratunga have their personal reasons. Her seriousness came only after her daughter married a Tamil. So now, both together will end up in a worse scenario. Take the current President and some Ministers from the SLFP. These people were with the last regime which had its two-third majority in parliament and a powerful executive president. With all these, did they make any attempt to solve the ethnic issue? No. Who is fooling whom, then? Only those who do not know the attitude and approach of the Sri Lankan rulers can believe all these hypocrisies. Take a note of what is being said by the President and the Cabinet spokesperson regarding the last UN HRC resolution. With their shameless ‘U turn’ regarding the resolution, they are courageously getting ready in another few days to face the 47 members in the UN HRC. It did not surprise us when the President openly rejected the resolution and the Cabinet spokesperson took a negative approach to it. But the smart Prime Minister and the Foreign Minister are in the soup. The Prime Minister is telling an utter lie when he says that the President has not ruled out foreign Judges and lawyers being involved in the process. The Foreign Minister is playing hide and seek with the media. He is scared of saying anything about the resolution. Last September, when the first draft of the resolution came up for discussion in Geneva, the Sri Lankan representative and his aides rejected the resolution totally, wanting a new draft. This was witnessed by diplomats, UN Staff and Human rights activists. But only two days later, they agreed to the same text rejected initially and Sri Lanka became one of the co-sponsors of the resolution. This alarmed us. We understood that some dodgy game was going on. Now one by one, everything is coming out. Successive Sri Lanka governments have ample experience in fooling and taking Tamils for a ride. Now they have developed new strategies attempting to fool the international community. We wish them good luck. For the victims in Sri Lanka, it is now the international community which is answerable – neither the Sri Lankan government nor the dodgy members of civil society in the South. Hope the international community will make a note of this. In the forthcoming 31st session of the UN HRC, there is no special agenda on Sri Lanka, but of course there will be many statements concerning Sri Lanka. As usual either the Sri Lankan Foreign Minister or his mouth-piece or even Sarath Fonseka, ex-Commander of Sri Lankan army may attend the session, to tell their stories. Certainly they will talk about a number of visits by dignitaries including the UN High Commissioner for Human Rights, Zeid Ra’ad Al Hussein and the UN Working Group on Enforced Disappearances or Involuntary Disappearances – UN WGEID. Now-a-days, Sri Lankan is using children to welcome the dignitaries with bouquets of flowers and then they take them in a procession with Kandyan dancers. We hope the dignitaries will not be taken in by all this hypocritical welcome. Even though the visiting UN High Commissioner for Human Rights Zeid Ra’ad Al Hussein has adeptly covered most of the subjects that the Sri Lanka delegation would be waiting to inform the UN HRC, they will still repeat these. They will say that the President has pardoned the person who tried to assassinate him; on Independence Day the national anthem was sung in Tamil; there is some progress in the investigation of disappeared Journalist Prageeth Eknaligoda, assassination of Parliamentarians Joseph Pararajasingham, Ravi Raj and a few others. Also they will say that many Tamil detainees were released and some civilian lands have been handed back to the public. But what they will not say is precisely when the person who was accused of attempting to assassinate the President was arrested, when the case was filed, when he was sentenced, etc. In fact, he was arrested in 2006 and his case was concluded in July last year, sentencing him to ten years in prison, now completed. In such a situation, is the Presidential pardon necessary for this prisoner? Yes, of course. Otherwise various other bogus charges could be made against him. The assassination attempt on the President is another story…..
Will the Sri Lanka delegation inform the UN HRC that the Prime Minister Ranil Wickremesinghe has already declared that the people who ‘disappeared’ are dead. I wonder why the Prime Minister did not tell this to the UN WGEID, when they visited in November last year. They will not inform the UN HRC that during the time when the UN WGEID was in the island, they visited the Navy Base in Trincomalee and the underground cells used in the past to secretly detain and torture people. They will not disclose the history of the Tamil national anthem in Sri Lanka. Many decades ago, singing the national anthem in Tamil was arbitrarily stopped (see annexe) without any gazette notification. One of the reasons was that Chandrika Kumaratunga’s Father, Prime Minister SWRD Bandaranayake proclaimed the “Sinhala Only Act” on 14 June 1956, making the Sinhala language the only official language of country. This was also the cause of stopping the national anthem being sung in Tamil. Now, all those Sri Lanka’s finest thinkers and analysts are fooling the international community. This is to say that singing the national anthem in Tamil is rectification for what was arbitrarily prevented in the past. Also they will not inform the Council that from the President to Ministers, all are against the resolution unanimously passed in the 30th session. The pathetic path of accountability in Sri Lanka is not understood by the international community. During the war, Sinhala soldiers killed, raped, tortured and ‘disappeared’ Tamils. The general attitude over a very long period is that there is no need for investigations or inquiries because the victims were Tamils. Sixty-six years of Sri Lanka’s history and the message of the Sinhala dominated governments, have not been properly understood by the international community. One of the reasons is that any diplomat or government of a democratic country never lasts for more than five years. Then the new administrators and diplomats come into action and once again start from scratch. During that period, Sri Lanka has also another new set of government representatives, MPs, administrators and diplomats. It is true that they have their civil servants, who understand the situation, but they are powerless. This is how the situation goes on for many decades without anything being achieved fruitfully by the international community. On the other hand, a ‘mushroom’ group of Tamil diaspora is playing a double game on reconciliation and accountability. Some of them were wined and dined by the President and some Ministers. Therefore, now they are reluctant to tell the truth and convey the realities in Sri Lanka. In Tamil there is a Tamil proverb: “Nakkundar navellanthar” (Those who are wined and dined lose their tongue and policy). No wonder they were passers-by in the Tamil political struggle. During the war and as soon as the war ended in May 2009, then Defence Secretary Gotabaya Rajapaksa, and the government of Sri Lanka claimed that they rescued the people from the clutches of the LTTE. After nearly six years, former Defence Secretary ‘lets the cat out of the bag’. Q. Don’t you think that the people denounce the Rajapaksa rule and defeated you? A: What matters is that how they changed the thinking of the people. Analyze the Northern Province which voted against Rajapaksa. It was not surprising that the defeat of Tamil Tigers strongly impacted the people who were brainwashed by Prabhakaran. This is because he was their hero. Q.Then why are the Tamils angry with the Rajapaksa Government? A: Because we wiped out the LTTE and Prabhakran is no more. This is a typical example to show how he or the current government in Sri Lanka will continue to fool the international community. Many in the South voted for Rajapaksa. The International community has to consider that the regime change happened only due to Tamil votes including Muslims in the North and East and up-country Tamils. Therefore the International Community is obliged to look into their grievances. Wake up International Community, act now!